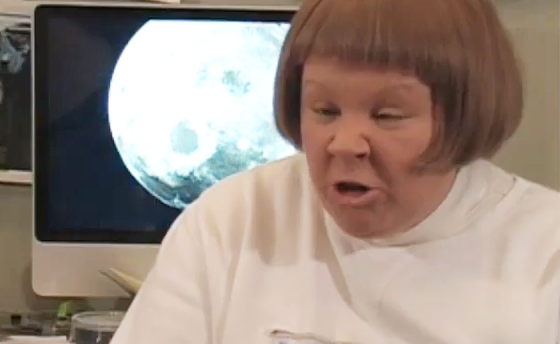 Earlier this week, Best Week Ever unveiled some long-lost YouTube videos of Emmy-winner Melissa McCarthy as her video-blogging alter ego, Marbles Hargrove. Along with her off-screen sidekick Randy, she covered topics ranging from E. coli—Taco Bell is essentially a petri dish for it—to the Oscars. "I'm just gonna say Oscar buzz." "You know, I feel both historically and cinematically raped by that piece of film-making." I just love the air quotes she gives on "Sciences."